Nutritious, satisfying food for when you need it. 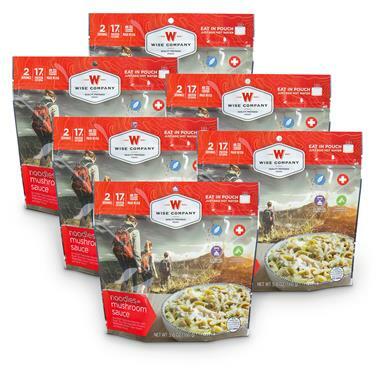 A satisfying meal solution for camping, emergencies and preparing for an uncertain future. When the clock is ticking and every calorie counts, this freeze-dried food is ready to deploy FAST. Includes 6 pouches of delicious enriched tagliatelle noodles with beef, textured vegetable protein, mushroom, onion, sour cream and beef flavor. Incredibly easy to cook, too. Just add hot water!